His service standards display his commitment to this profession and he is a self motivated strong willed and polite person whose aim is to spread the benefits of homeopathy to as many people in the world as possible; at an affordable cost. 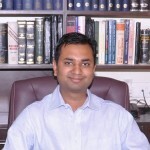 At present he is working as a Homoeopathy Physician (Skin Specialist) and he is managing the “Gupta Homoeo Clinic skin & Healthcare” branch of Gupta Homoeo Clinic which is situated at in Vaishali nagar,jaipur. Here he is providing best skin treatment in Jaipur in the field of Homoeopathy. Along with this he also gives his services by Online Homoeopathy Treatment. He gives best skin treatment in these diseases like – Acne or Pimples, Pityriasis Versicolor or Tinea Versicolor, Fungal Infection, Urticaria or Hives or Nettle rash, Leucoderma or White patches or Vitiligo, Psoriasis, Cellulitis, Atopic Dermatitis or Eczema, Recurrent Boils, Warts, Corns, Alopecia or Hair fall, Dandruff, Allergies, Nail problems, Lichen planus, Keloid, Freckles or Lentigo, Melasma or Blemishes or Pigmentation etc. He was trained intensively in skin diseases with a best skin treatment in Jaipur. Dr. Sachin Gupta considers the disease as an external manifestation of the internal derangement and focused on it to cure it. 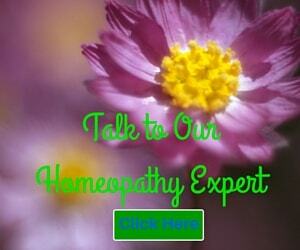 He is strongly believes that homeopathy has the treatment for a patient having all types of diseases. Patients must narrate all symptoms in depth, so that physician collects a detailed history of their problems. A full symptomatology with patient’s life style, food habits etc then homeopathy will certainly give the positive outcome without any side effects. He clearly explains the scope and limitation of treatment for one’s disease condition to the patient. He is strongly recommends the basic concept of homeopathy as ‘treat the patient not the disease’. He also emphasizes that mental symptom is more important. 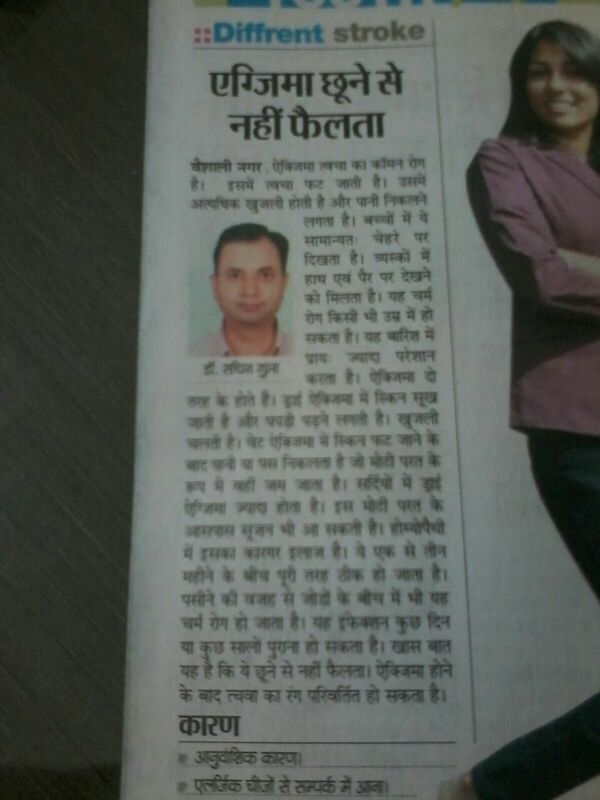 He has written health article in the daily Hindi News Paper “Rajasthan Patrika“. Recently he has started on-line homeopathy consultation for several cases of anxiety, allergies, wheat allergy, skin diseases, cervical spondylosis asthma, arthritis etc. He is also providing literature of Materia Medica to learn Homeopathy online for homeopathy students, professionals for easy materia. To enhance general wellbeing as per the Homeopathic standards. To keep up the honor and poise and to maintain and defend the hobbies of the Homeopathic calling. 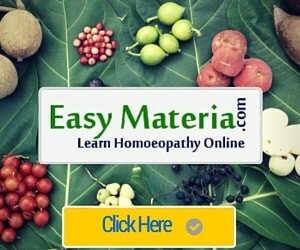 To advance and propel the art of Homeopathy. To progress and expand the standards and routine of Homeopathy. To endeavor, to maintain, and to advance the honor and nobility and financial status of the Homeopathic calling and to ensure its legal rights and intrigues; and specifically those of qualified Homeopathic experts.